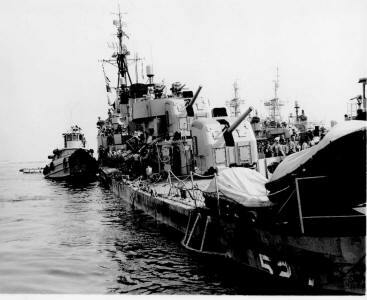 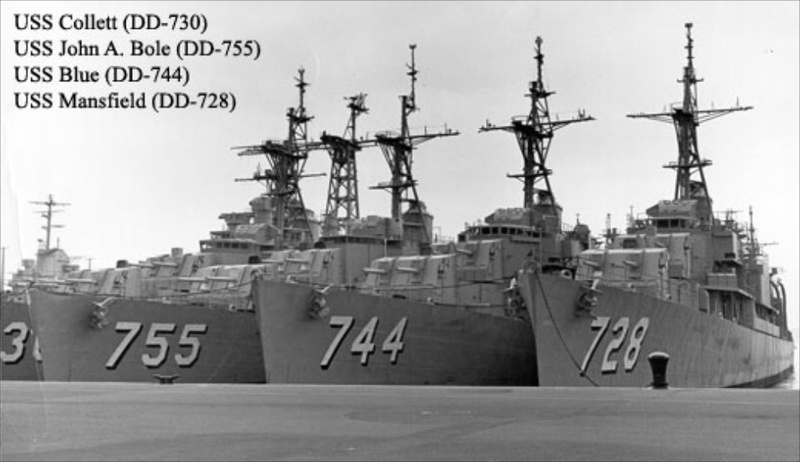 USS Collett in a nest of tin cans. 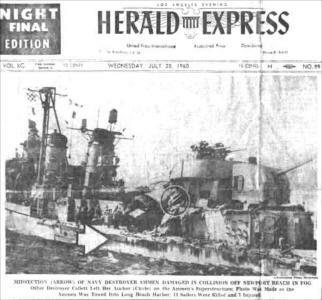 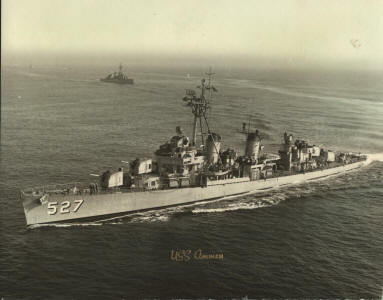 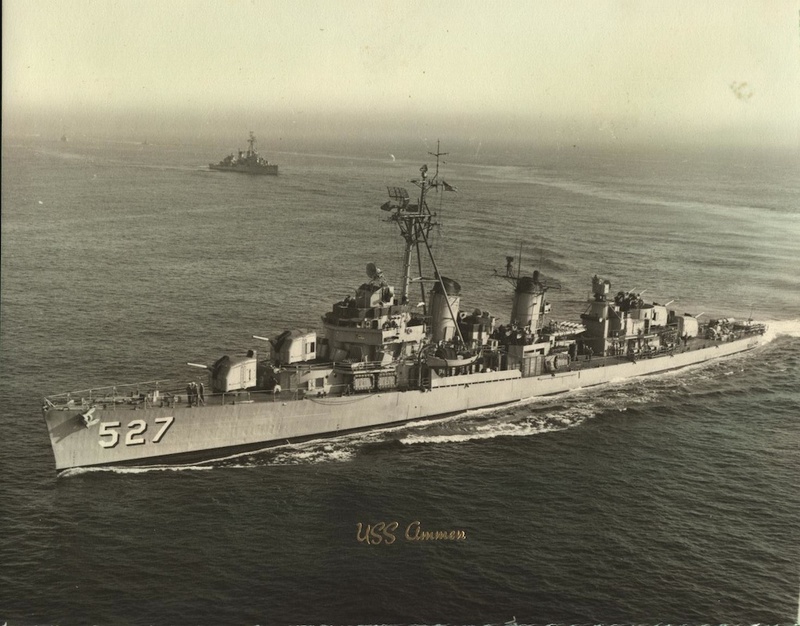 USS Ammen perhaps with USS Collett's Anchor. 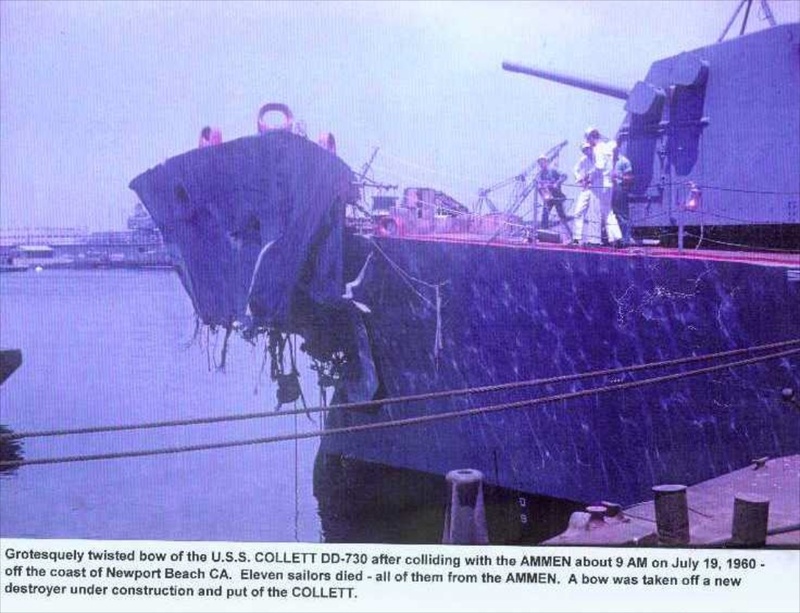 Bow of USS Collett in USS Ammen. 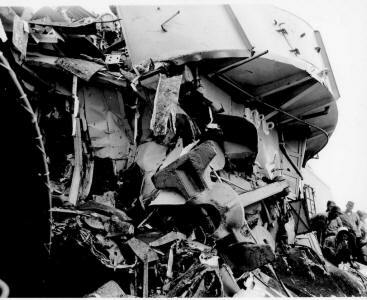 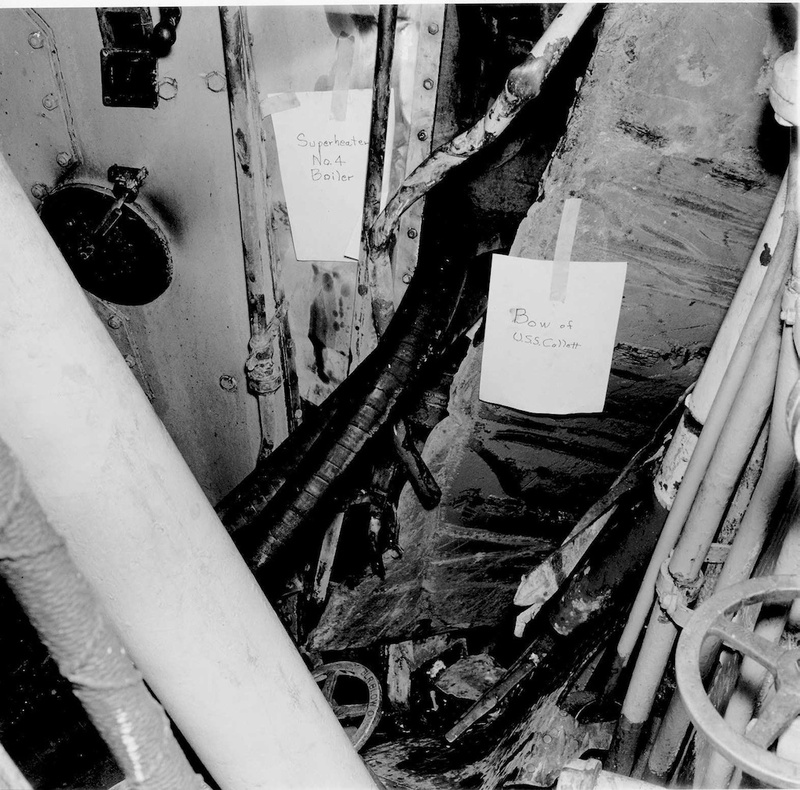 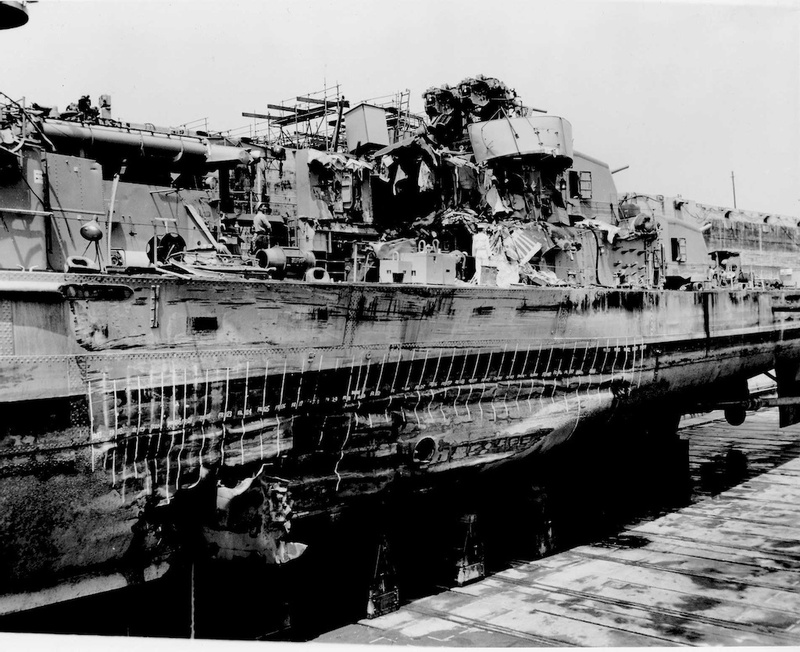 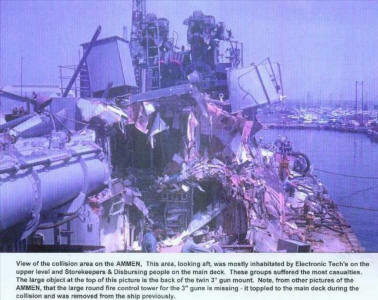 Twisted bow of USS Collett. USS Ammen with two tugs. 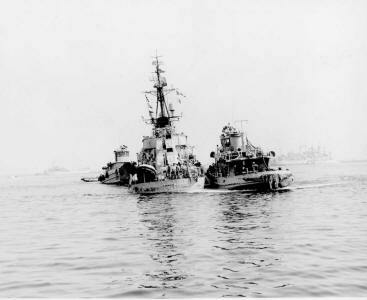 USS Ammen with tug alongside. 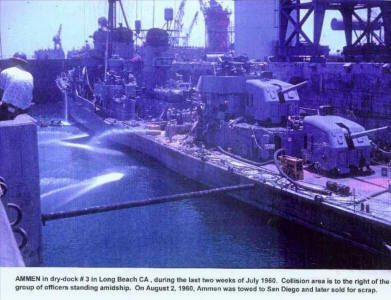 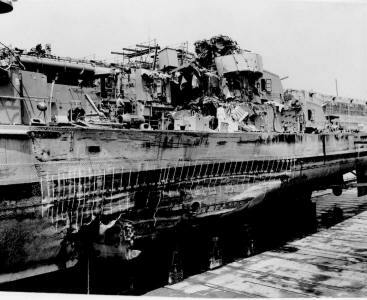 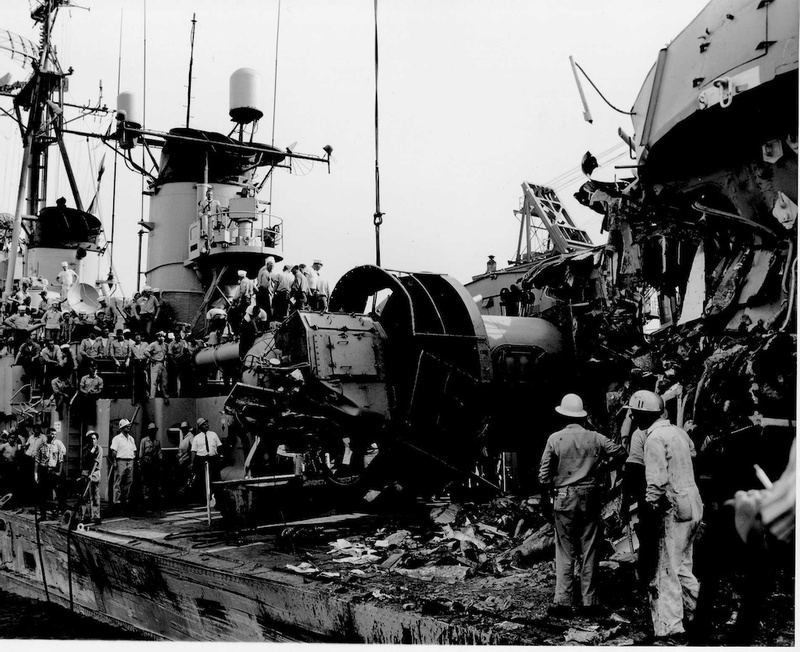 USS Ammen in drydock 3.